Nestled in the heart of the glamourous Côte d’Azur, Fréjus is a stunning port town that offers so much in terms of history, culture and coastal delights for its visitors. As it’s located in such a stunning (and sunny) corner of France, camping in Fréjus is a sublime way to explore the town and its surrounding region. If this smaller, more relaxed town sounds like the ideal spot for a Côte d’Azur camping holiday, you’re in luck as there are a handful of fantastic campsites in Fréjus to pick from. Camping Le Baume is found just outside the town in the Esterel forest, and it’s a real haven for those hoping to soak up some sun thanks to its sun terrace and huge outdoor pool complex. 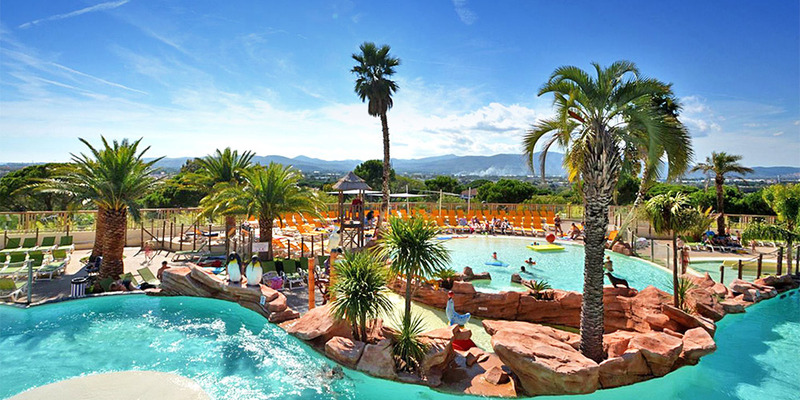 Camping Fréjus similarly has a wonderful swimming pool (complete with slides) in addition to a spa centre for parents craving some indulgence. Likewise, you can’t beat Camping Domaine du Colombier for its tropical vibe and location just 4km from the beach. Fréjus is found just along the coast from Cannes, making it the ideal spot to base yourself for both city jaunts and leisurely beach days. With a history that dates all the way back to Roman times, there’s no shortage of charming attractions and gorgeous scenery. Fréjus is largely surrounded by beautiful mountainous woodland, however, a short drive north will additionally see you hitting the dramatic gorges, rolling hills and protected parklands of the Prealps of Azur Regional Natural Park. If you’d rather stick to the coast, Fréjus itself is a lively town with a sandy promenade and everything you need for either an action-packed or tranquil vacation. 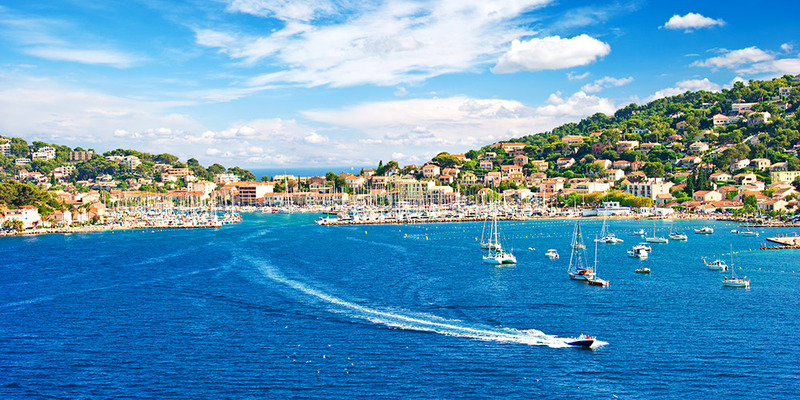 For those after some of the French Riviera’s famous joie de vivre, you’ll also discover the sophisticated resort of St Tropez less than an hour’s drive south west. 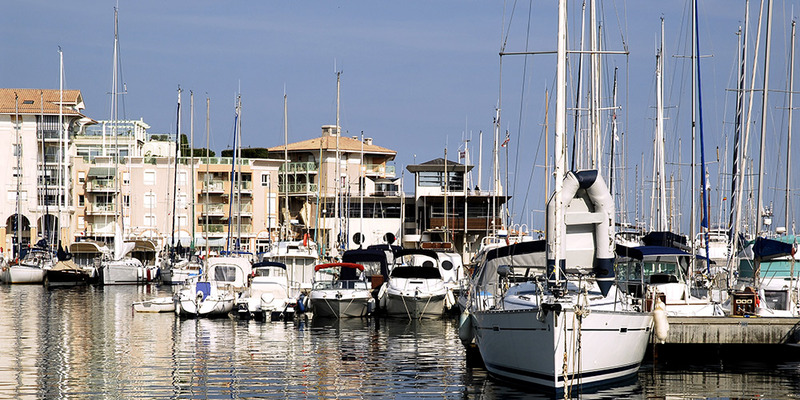 St Tropez - The glamorous resort of St Tropez is best known for celebrities, shopping and magnificent yachts. When you’ve finished people-watching, clamber up the steps to the citadel for wonderful views or visit the Musée de l'Annonciade for avant-garde paintings. Cannes - Walk along the palm-lined Boulevard de la Croissette and look out for the ‘hands of fame’ set in concrete outside the Cannes Film Festival Hall. Alternatively, take a boat trip to nearby Les Îles de Lérins for a swim and picnic. Aqualand Fréjus - A must for families, Aqualand Fréjus is a huge waterpark with multiple slides and pools for all ages and abilities. Antibes - Antibes, which includes the resort of Juan-les-Pins, has museums dedicated to Picasso, Napoleon, archaeology and even schools and postcards. Also worth visiting is the Exflora Park with its roses, fountains and Islamic garden.